CS Math director Ms Qun Lu is organizing Gauss Mathematics Contests, please see the attachment for details. 2. Ms Qun Lu is organizing Gauss Mathematics Contests, please see the attachment for details. 3. The total donation for Shaker screen payment is $1446.25. We sincerely thank all of you. 5. NO Chinese school on next Sunday 4/21. Happy Easter! 1. Chinese teacher training will be hold on 2:50-3:40pm at B208. 2. The graduation application is due by April 7th. Please submit it to Vice Principal Dawei Liu. 3. All teachers are required to fill up the teacher survey and submit it to VP Ms Dawei Liu ASAP. - Please feel free to donation any amount at the donation box at the entrance. - Please write a check to CCC Chinese School and pass it to Mr Peng Chen or Ms Yu Chen. They will pass a donation receipt to you. We sincerely thank you for all your help. 6. Annual art exhibit: My life. All art works will be displayed at cafetiere. 1. The school will resume on this Sunday 3/31. - Please write a check to CCC Chinese School and pass it to Mr Peng Chen or Ms Yu Chen. They will issue a donation receipt to you. We will announce the total amount by 4/7. Any surplus will be fully used for the students activity on the last of day of school. We sincerely thank you for all your help. 3. Annual arts exhibit topic: My life, submission due by 3/31. 4. Please see the attached volunteer recruitment letter from School Council Chair Mr Xufeng Sun. 5. Chinese teacher training will be hold on 2:50-3:40pm at B208. 7. The graduation application is due by April 7th. Please submit it to Vice Principal Dawei Liu. Please send your personal photo and both Chinese and English names to your teacher for the yearbook. 1.There is NO Chinese school on this Sunday 3/24. The school will resume on next Sunday 3/31. 2.Call for fundraising. Please see the attachment for the details. - Please feel free to donation any amount into the donation box at the entrance. - Please make a check payable to CCC Chinese School and pass it to Mr Peng Chen or Ms Yu Chen. They will issue a donation receipt to you. We will announce the total amount by 4/7. The donation will be used to cover the screen cost. Any surplus will be fully used for the students activity on the last day of school. We sincerely thank you for all your help. 3. In its 36th year, MATHCOUNTS is a nationwide program designed to improve math skills among U.S. students in a way that’s fun and engaging. Sponsors target middle school students, who are at a critical stage in developing and sustaining math interest and ability. More than 200 students from all over New York state, including New York City, put their problem-solving skills to the test Saturday in the MATHCOUNTS competition at RPI in Troy on March 9th. Our Chinese school had quite a few students competed for local middle school. We have three students scored in the top 12 individuals in the state. Forest scored a 2rd place in individuals and win a spot to compete in National Competition. Those students have been studied math with our Chinese math class since first grade. They are our first group math class students. We are very proud of them! We would like to extend our thanks to the math program leader Ms Qun Lu too! 4. Arts exhibit topic: My life, submission due by 3/31. 1. Arts exhibit topic: My life, submission due by 3/31. 2. For senior students who plan to graduate this semester, the deadline for graduation application is April 7th. Please submit the application to Vice Principal Dawei Liu. The graduation application form is attached. Please send your personal photo to your teacher for the yearbook. 3. 2019 Chinese essay contest is due on 4/20. 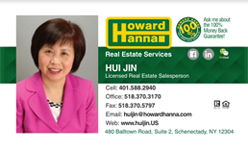 Please email to VP Ms Dawei Liu i6liu@yahoo.com. 3. 中文学校是以义工为基础运行的，需要每一位家长的参与和帮忙，到学期结束现在还有值日空位，请参考人 附件sign up. 值完日当天领回PTA duty 压金$50. 1. Daylight saving will start this Sunday 3/10. Please adjust your clocks 1 hour back. 2. Arts exhibit topic: My life, submission due by 3/31. 3. Please refer the attachment and sign up the PTA duty ASAP if you haven’t done yet. You will only get your $50 PTA deposit back after you do so. 4. All logo contest participants will have a certification, please come to admin table to collect it from PTA Ms. Pengbo Sun. 5. There is NO Chinese school in next 2 weeks on 3/17 and 3/24 as Shaker will have musical events. 4. 2019 “华文创想曲”海外华裔青少年 暨港澳台青少年创意作文大赛征稿启事，详见附件。只接收集体报名，有意参加者，请于4月20日之前发作品给刘大卫副校长i6liu@yahoo.com，邮件主题请注明：2019 年“华文创想曲”作文大赛投稿. 1. SAT test is scheduled at 1-2:40pm on this Sunday 3/3 at C204 and C205. Please bring your own pencil and easer and get ready 10 mins earlier before the test starts. 2. YCT registration deadline is 3/3 for 5th and 6th graders. Please register with your classroom teacher. 3. For senior students who plan to graduate this semester, the deadline for graduation application is April 7th. Please submit the application to Vice Principal Ms Dawei Liu. The graduation application form is attached. Please send your personal photo to your teacher for the yearbook by 3/5. 4. Please see the 2019 Chinese essay contest as per attached. 5. Please send your class yearbook pictures ASAP. 6. Please submit your classroom reimbursement form to VP Hongbo Cao. NO Chinese School on 2/17. The annual classroom fee reimbursement form is due by 24th Feb 2019. Please give the form to VP Hongbo Cao at admin table. For the language class CNY special classroom fee, please use another reimbursement form, separately from the annual classroom fee. The language teachers training is scheduled at B207 on 2/24. 5.请注意2/17 winter break, NO Chinese School. 1. Welcome Ms Yu Chen to join us and be our bookkeeper! - Red Envelopes are gifts presented at social and family gatherings such as such as Chinese New Year. The red color of the envelope symbolizes good luck and is a symbol to ward off evil spirits. PTA will send the red envelopes to each classroom based on the registered head count. The students only registered for culture classes, please come to School Admin table to get your red envelope. - PTA invites all the students to come to cafeteria to watch a short Chinese New Year video during the break at 1:45-1:55pm. - CNY classroom activity. We encourage the language teachers to organize the CNY activities in their classroom, parents are welcome to help and join. 3. Meet with artist Yun-Fei Ji on Wednesday, February 20, 2019 at 1:00-3:00pm. Please see the attachment for details. Registration Deadline: February 10th 2019 or registration is full. 4. Clifton Park Library CNY celebration co-organized by Xiaoqing Zhang. 5. UAlbany Confucius Institute invites you and your family to join 2019 Chinese New Year Fair. 6. CCC CNY Celebration, you may buy tickets at cafeteria. 1.Back to normal on 1/27. 5. Chinese language teacher training at B208@2:50-3:40pm. NO Chinese School on 1/20. Please visit http://cccalbany.org/CAEP for details and register. The 45th “Festival of Nations” of the New York Capital District http://festivalofnations.net/ will be celebrated on Sunday, October, 23rd from 12:00-5:00pm at “Empire State Plaza” Albany, New York.